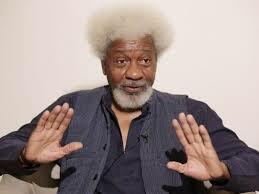 Soyinka urges youths to participate in politics – Royal Times of Nigeria. Nobel laureate, Prof. Wole Soyinka, has advised the nation’s youths to be more serious about having representatives at the seat of power in the next political dispensation by participating in the election and ensuring that the youths are well represented in the government. Soyinka said the ruling old politicians had failed the country as they had no answer to the disaster currently hitting the country. The don stated this while speaking with journalists after the second convocation lecture he delivered at the Elizade University, Ilara Mokin, Ondo State on Thursday evening. He said, “All I can just tell you (youths) is this, don’t make the mistake of following those who failed you before; those who are pretending that they have nothing to do with the disaster that has overtaken Nigeria.